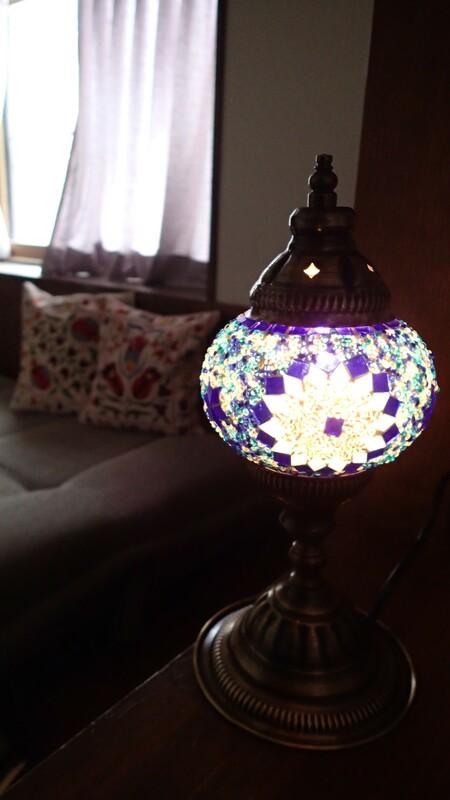 Turkish themed room with turquoise blue and tulip decorations. Mt. 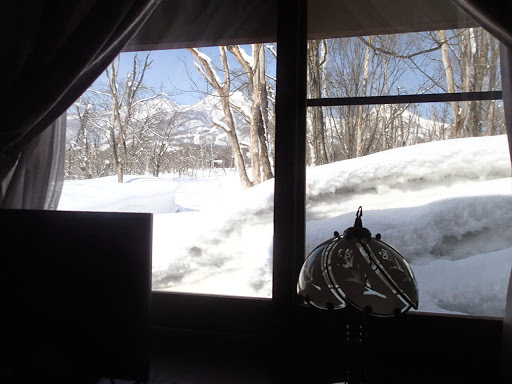 Myoko view from this room is the best in the lodge. 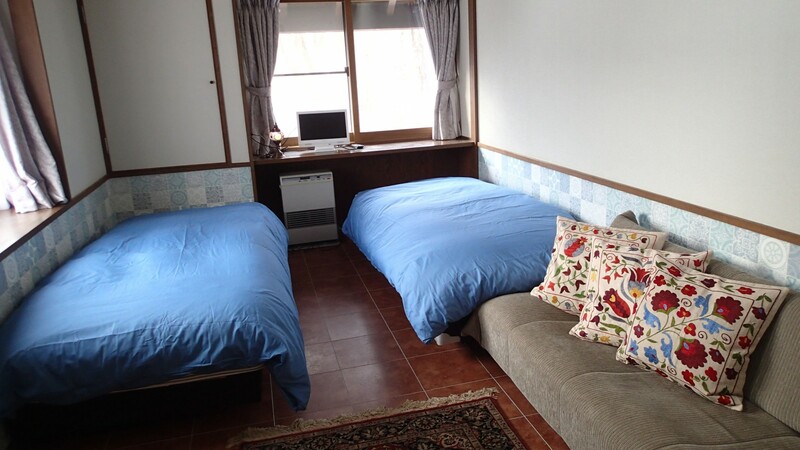 Queen bed can be arranged instead of two single beds (please specify upon reservation). Sofa bed is available for the third person but it might get little stuffy. 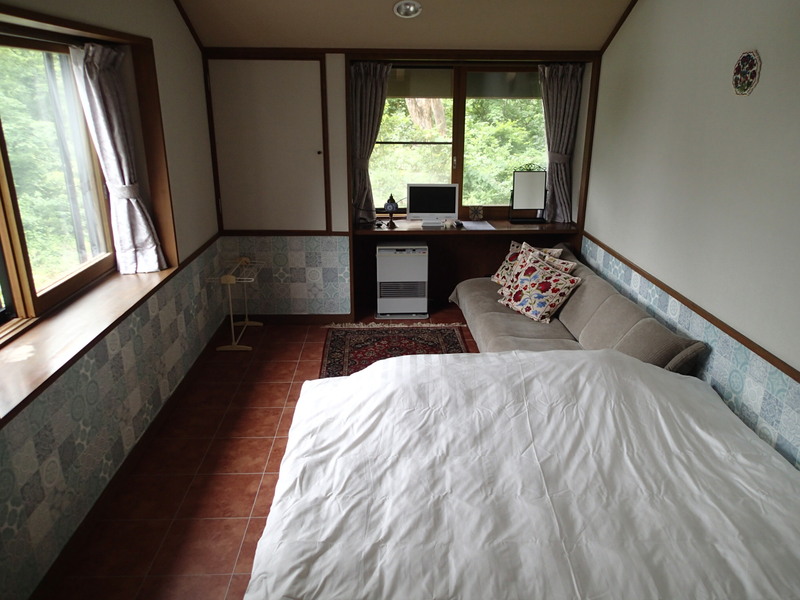 Heating fee of 300 yen/night/person will be added upon payment during winter season (December-March). Discount rate to be applied during off-season and weekdays, so please check the calender for room rate on a specific date. Please let us know in advance if you'd like to leave your luggage, early check-in or late check-out. * 50% advance payment may be requested for groups and long-stay guests during peak season.